I love Hydra. During my years in Greece, I have often been and will keep going back. It is one of my favorite islands in Greece. I love its port, its jet-set style, its nature and its beaches. Hydra is a unique place and very suitable for families. Let me give you 10 reasons why Hydra is great with kids. Hydra is part of the Saronic Islands group located in the Aegean Sea between the Saronic Gulf and the Argolic Gulf. It is separated from the Peloponnese by a narrow strip of water. There are 2 ways to get to Hydra: by sea taxi from the mainland (Peloponnese) or from the Piraeus port with the ferry boat. You can choose the small hydrofoil Flying Dolphin boats or the larger and more comfortable, catamaran high speed boats. 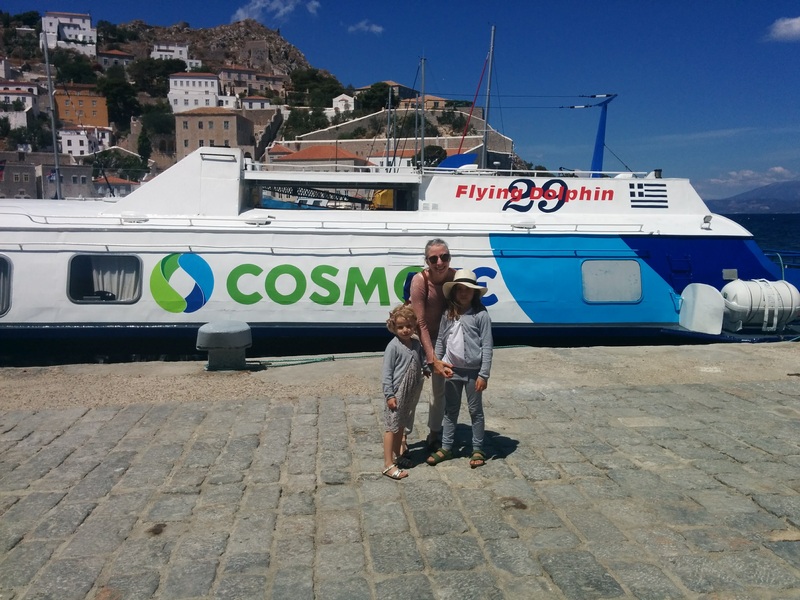 It takes little over an hour to get there from Piraeus port with the ‘Dolphins’ and 2 hours with the catamaran. My experience is that the staff on the ferry boats is usually very helpful with my luggage and the children. It is easy to manoeuvre the ramp to the boat with a stroller. 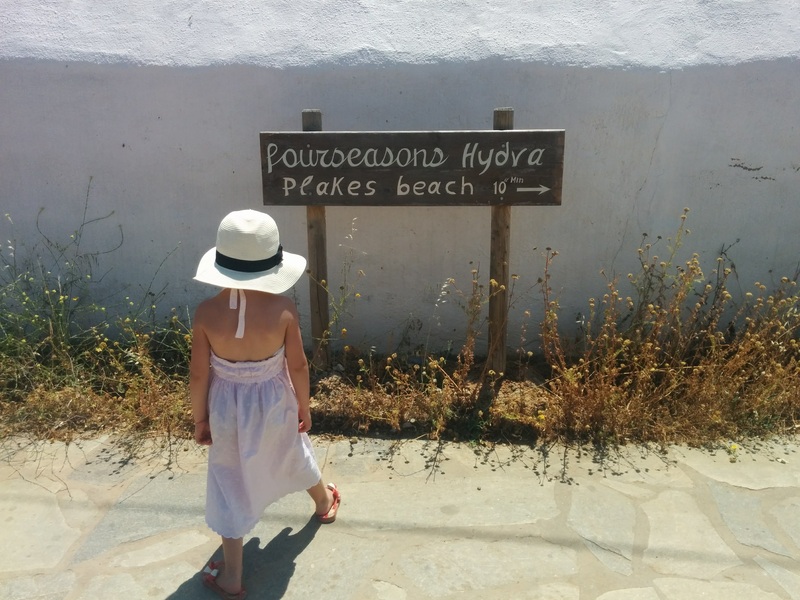 For more information on how to get there, please check my family guide for Hydra with Kids. Can you imagine a place where your kids can run around freely without being afraid of the traffic? One of the best things about Hydra is that there are no cars allowed on the island. It is therefore very peaceful and clean. And don’t worry about carrying your bags around. See number 3. All transportation on the island is done by donkeys or handcarts: the donkeys are waiting for you in the harbour to transfer your luggage and/or your kids to your hotel. Hotels, restaurants, shops, the water-taxis connecting the beaches, everything in Hydra is centralized in its scenic port. It is easy to hike from village to village and reach several beaches by foot. Whatever you do on hydra, transport times are short. Walking along the waterfront in the port is a step back in time and a history lesson by itself. The town has been restored and preserved exactly as it appeared in 1800. Besides strolling in the port you can visit the clock tower, the Independence Museum, the Byzantine Museum and the Naval Academy. There are also many churches and monasteries to visit. One is the monastery of the Panagia that is located in the port. 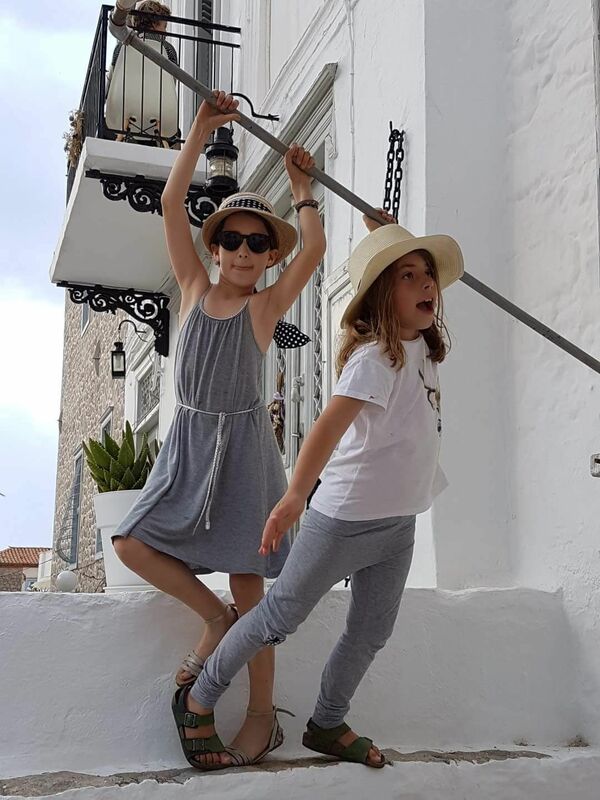 Older children may enjoy hiking on the many paths in the hills of Hydra. The walk to the Monastery of ‘Profiti Illias’ will take an hour but the view is worth it. 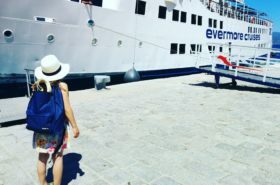 It’s wonderful to just sit or walk in the port and watch yachts, ships, ferry boats and even large cruise ships with people from all over the world come and go. Hydra with kids gives opportunity to make new friends. Most beaches on Hydra are pebbled. This makes the sea extremely clear and clean. 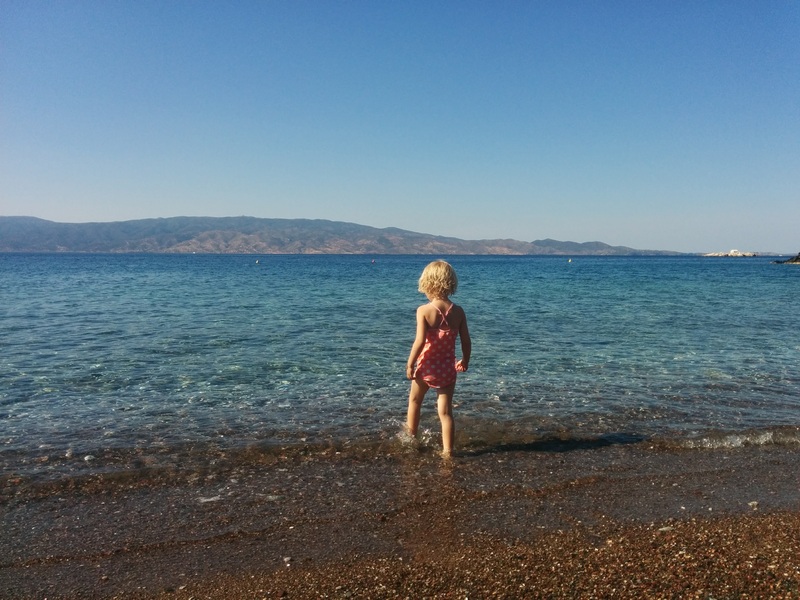 The beaches on Hydra with kids are mostly quiet, no noisy beach bars and no mass tourism. The pebble beach of Plakes at the ‘Four Seasons’ hotel is perfect for young children. Children can play safely on the beach and in the gardens, the food in the taverna is excellent. Other family-friendly beaches are Vlychos beach and the beach at Castello. With a toddler – not with a baby- it is also very good in Bisti Beach and the Saint Nicolas Bay. This beach is a bit further away and can only be reached by boat or water-taxi that is great fun for the children. 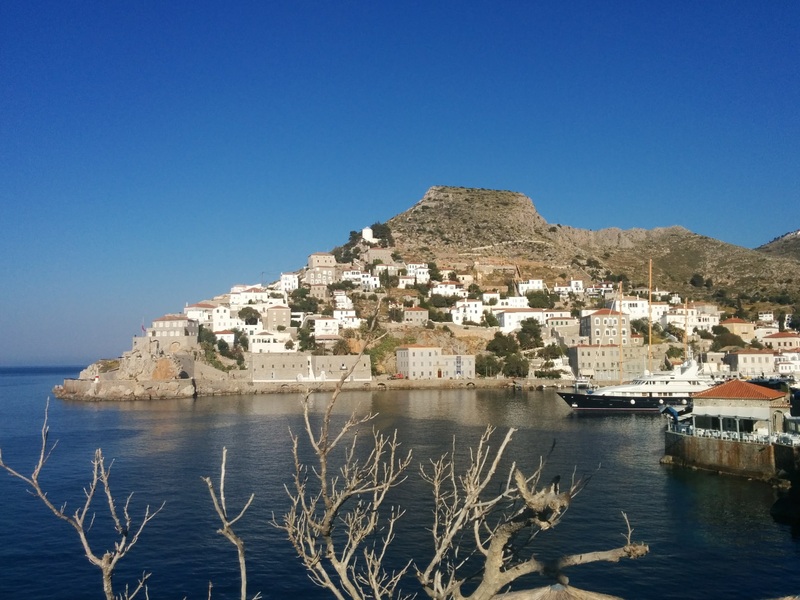 Hydra has about 2000 permanent inhabitants. There is a primary school and there are kids playing outside everywhere. Because the island is car-free, kids are free to run around. Hydra has some very good restaurants and taverna’s with large choices of fresh fish and meat. No fast-foods restaurants on Hydra. Hydra with kids is all about real food. Hydra’s specialty is Amygdalota. These are delicious hunks of scented almond paste formed into the shape of small pears, rolled in powdered sugar and there is a whole clove used for the stem. Hydra with Kids is great! 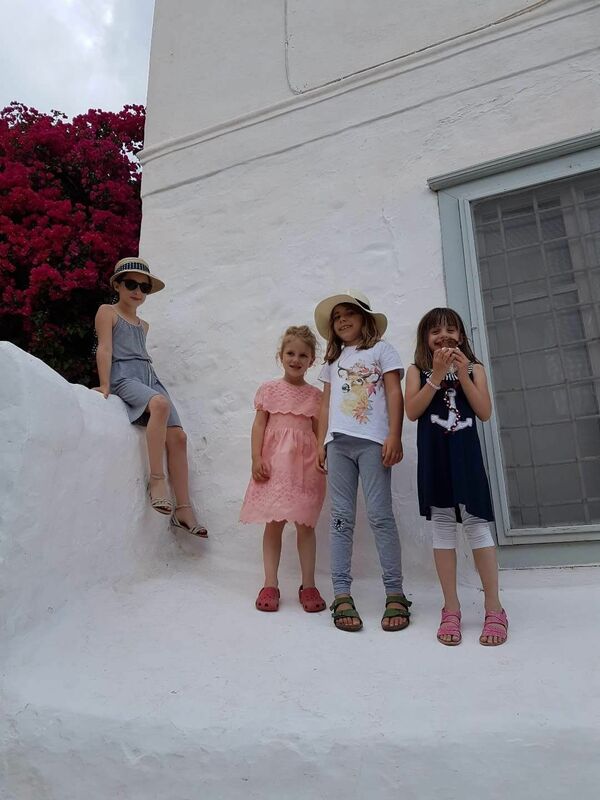 For more ideas and inspiration for Stay, Eat and Do in Hydra, check out my post Hydra island Greece holiday with kids.